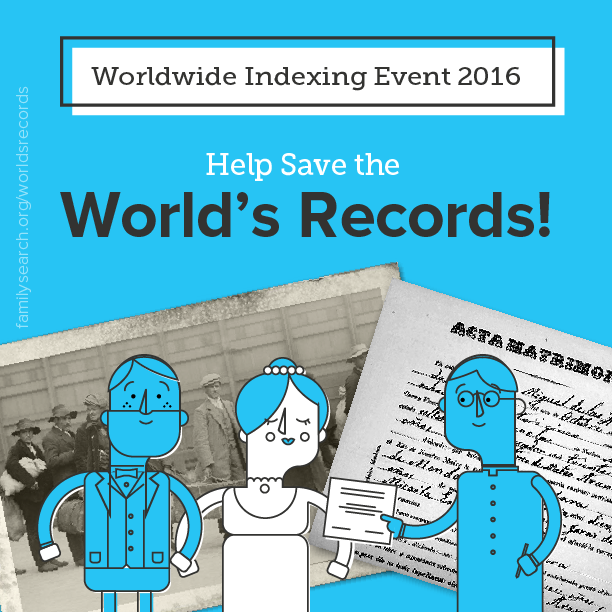 FamilySearch are holding their annual Worldwide Indexing Event from July 15 to July 17 and are looking for volunteers who will help them read records, transcribe them, and index them. FamilySearch has the largest collection of genealogical records worldwide which it has amassed over many years. Most famously for Irish researchers, the Civil Registration Certificates (that they microfilmed in 1957-1958) are freely available at your local LDS Family History Centre and I have personally found them of immense help in my own family tree research. Furthermore, they are free! And this saves you 4 euro per cert that you would have to pay if you ordered them via the General Registry Office in Ireland, a cost that would certainly mount up if you were to order a birth, marriage & death certificate for every single person in your tree! FamilySearch collect records from all over the world and only a small proportion of their total records have been indexed so far. 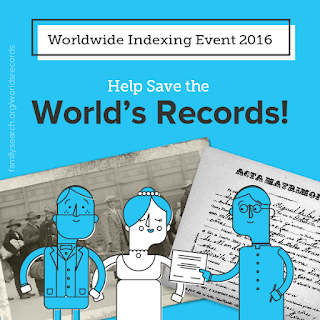 Last year they indexed 53 million records. This year they are hoping for something similar. And volunteers can help make these free records available to the rest of the world. It is very simple to join in this event and instructions are available on their website. Go here to learn more, tell us if you are in, share it with your friends, and follow the progress. So if you have some spare time on your hands during July 15-17, sign up to volunteer and help make records available for others to search. You may even be helping yourself find that elusive ancestor? !